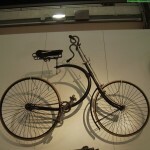 Although the current exhibition on historic bikes and bicycle history in Hamburg has found its home at the „Labour Museum“ (Museum der Arbeit), strolling through it is a real pleasure – no work at all, all play. And a lot of eye-openers with respect to what we perceive as cutting edge, very recent developments in bike tech developments. 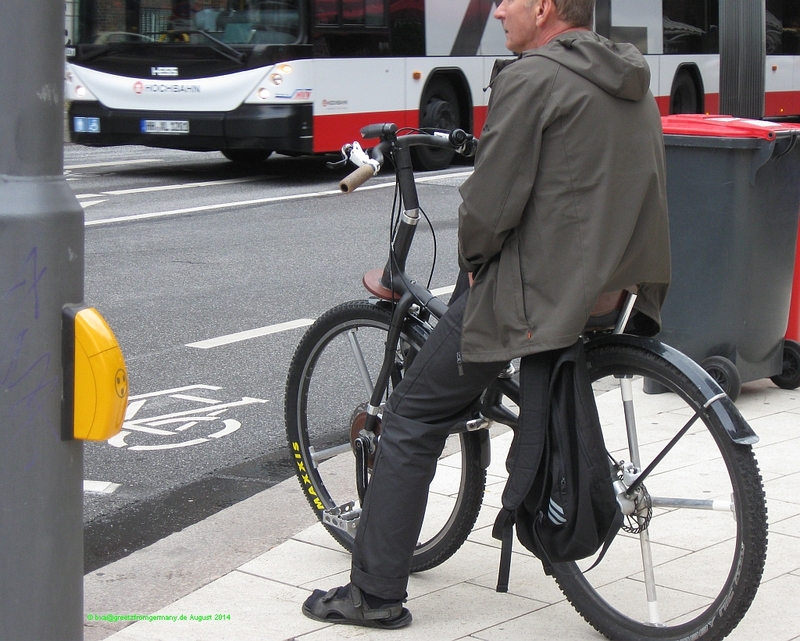 Take folding bikes, for example: That the high-tech urban hipster commuter bikes only mark the resurrection of the folding (or falling-apart) clunkers we had in the 70s, is not really news. 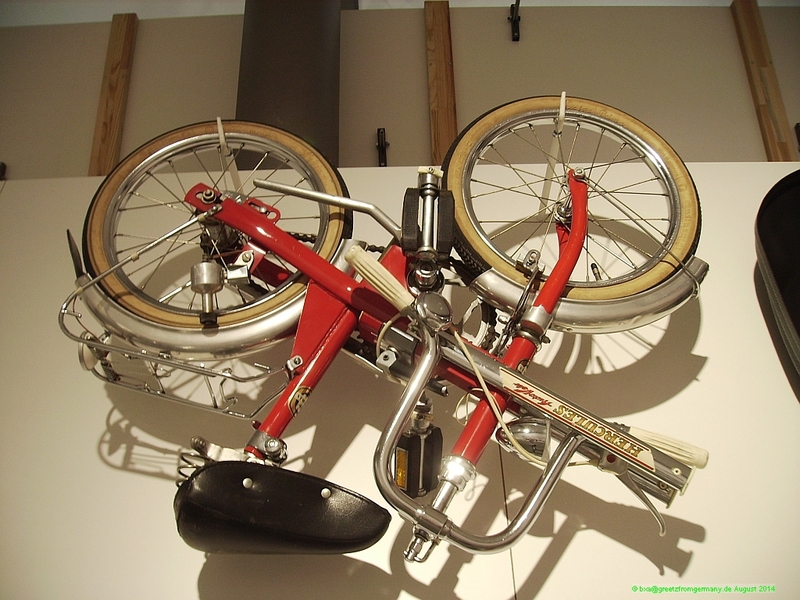 But a decade earlier there was already Hercules‘ AutoVelo which could be „folded“ into a handy package no less compact than any modern Dahon or Brompton. „Kurzrad“ or short bike is what Union called this 1960s addition to the emerging folding bike market; but they never hit it big. In looking at all sorts of funky bikes you are seeing on urban streets today, though, you may come to the alternative conclusion, i.e. that the Union short bike was still too far ahead of its time. 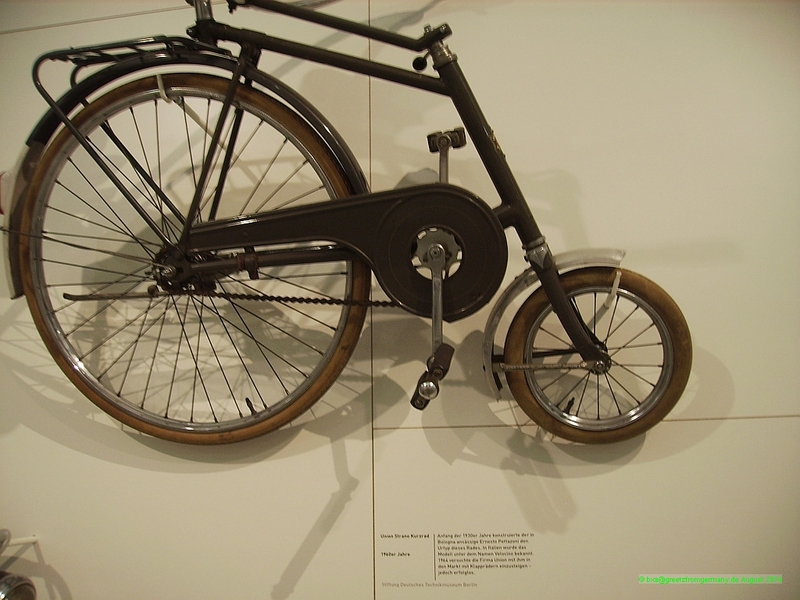 And that it took another 50 years before the city dwellers of today really dig a design which has definitely been inspired by those of a „Kurzrad“, although the front wheel has grown again and are driven directly by the pedals mounted to the front axis. Not just the bike concepts have all been thought through and built decades, if not a century or more before they all got re-discovered and re-invented. 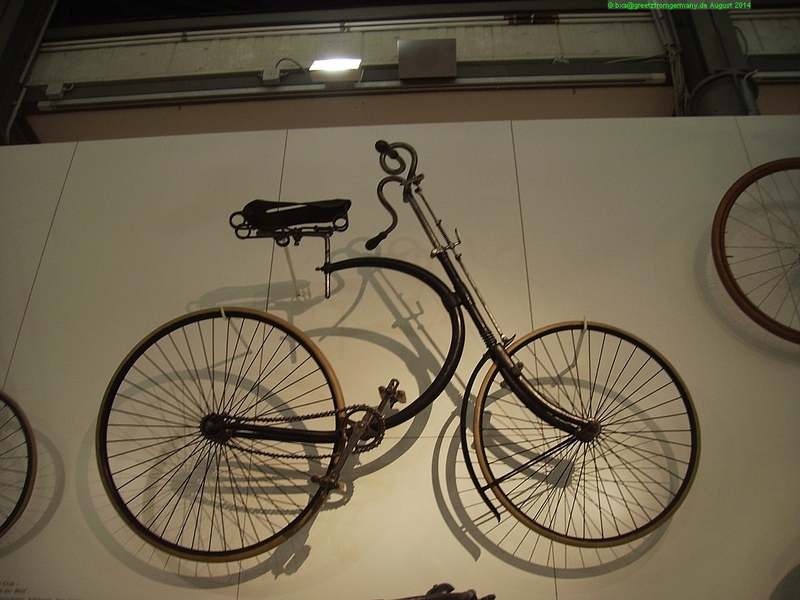 Also, our biking forefathers put quite some inventiveness into things that make the life of a biker an easier one, especially in difficult situation. E.g. in case of a flat tire. Today we have the „Schlauch-o-Mat“ solution that will get us back on the road in no time (if we happen to have the flat close to those very few machines that actually made it to being hung up somewhere). Although we tend to believe that this smart service idea was born in the 21st century, it sure wasn’t. 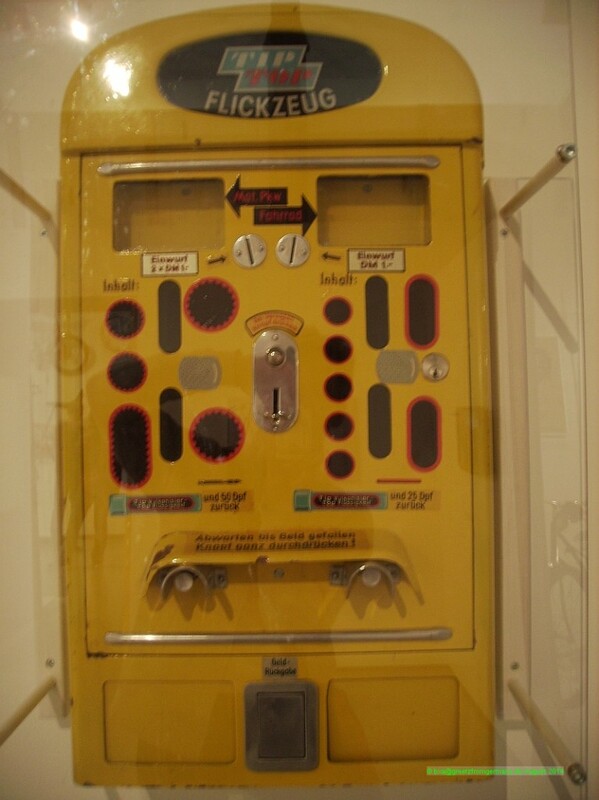 It is the incarnation of a machine that catered to those bikers who still knew how to properly patch a punched tube (and had an interest in saving the money on a new one as long as there were cheaper ways of getting back on the road). 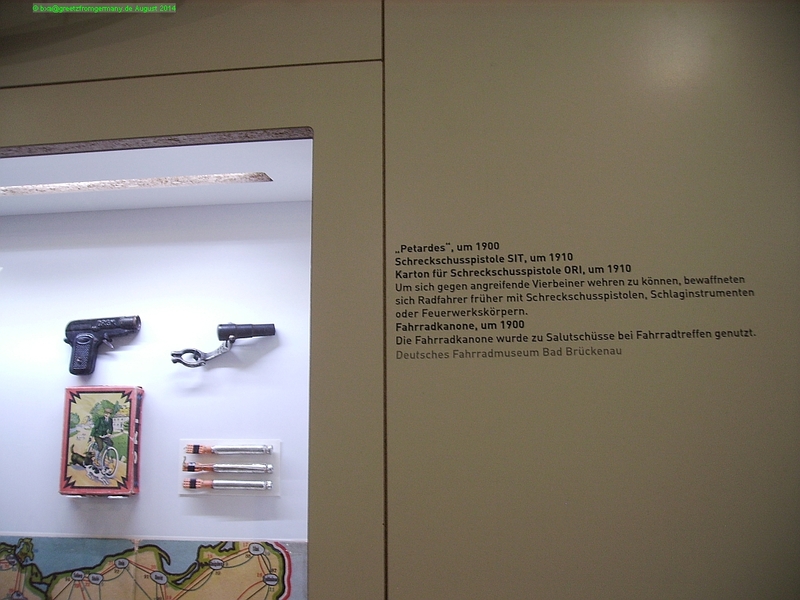 It’s a good thing, though, that there is no urgent need for bringing back some of those bikers‘ accessories of the old times: Not that many wild beasts in our villages and cities any more to think about reinventing a bobby pistol to defend yourself from their attacks.